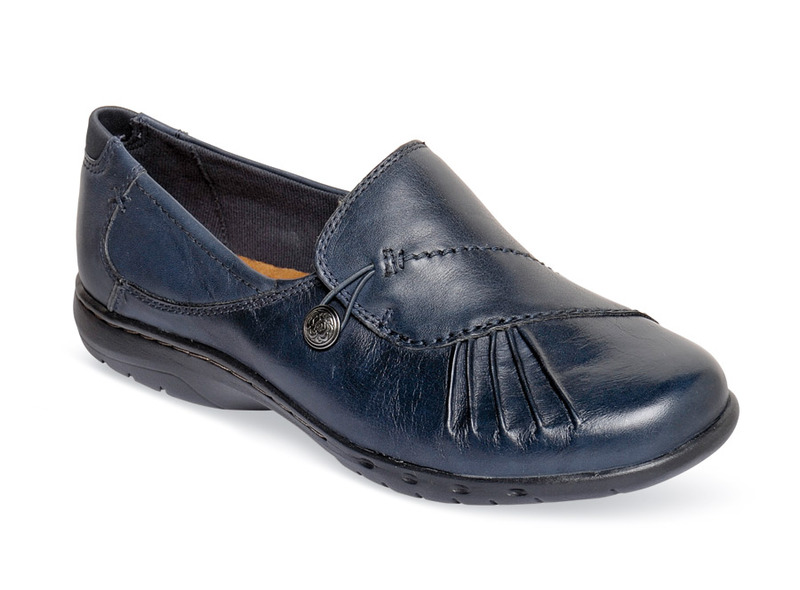 The navy "Paulette" slip-on from Rockport’s Cobb Hill fashion line is a graceful loafer with pleated vamp design and a hidden elastic instep gore for easy, secure fit. Brushed fabric linings. Deeply padded insole. 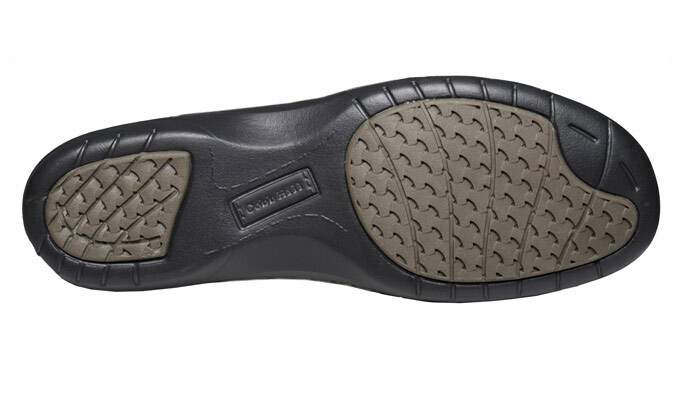 Flexible, long-wearing outsole with 1 inch heel height. Women’s sizes 6–10, 11 in a roomy 2E fit. NEW: Soon to be available in 4E width as well!